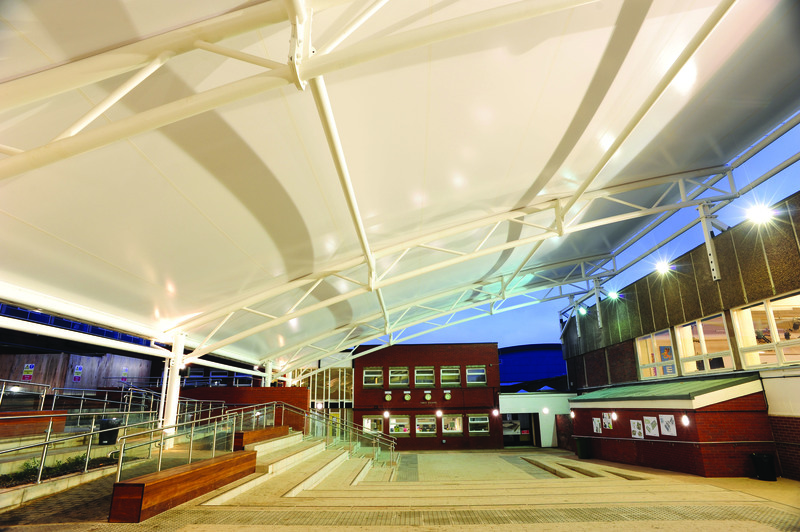 A large waterproof tensile canopy installation at Trentham High School. 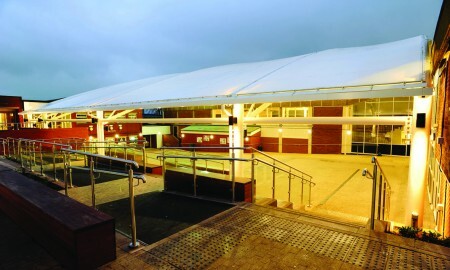 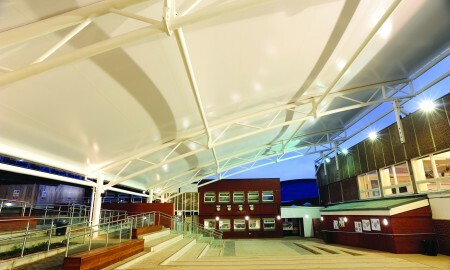 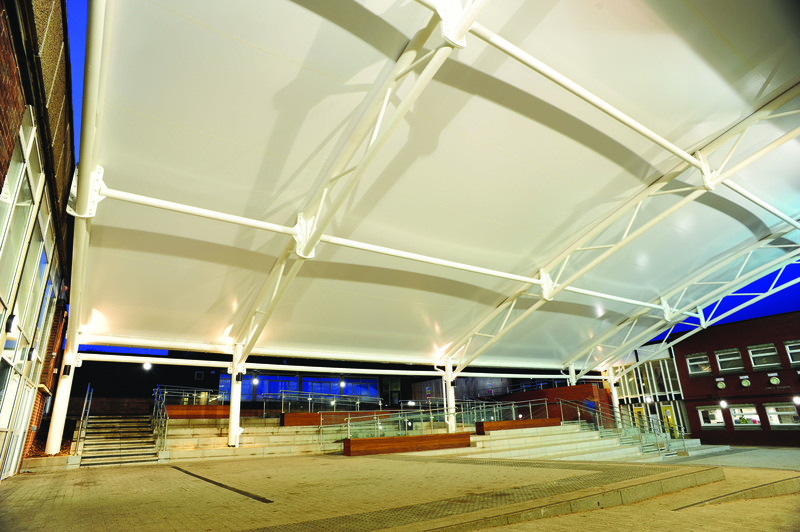 The canopy spans the recreation yard of the school across a 460m2 break out area. 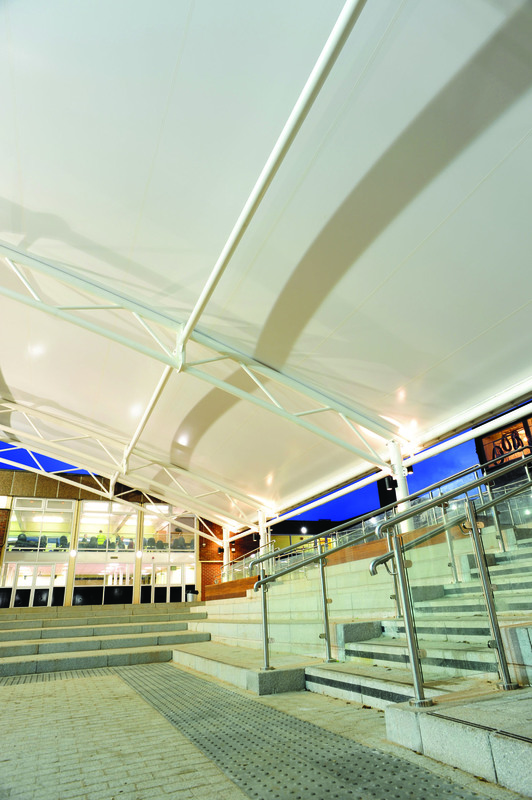 Working with Wates Construction and the Architect, our design brief was to provide a light and airy space without columns or obstructions. 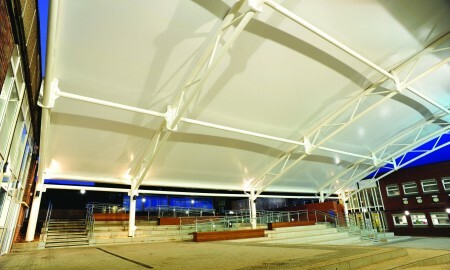 The erection of the structural steelwork was achieved via a 500 tonne crane. 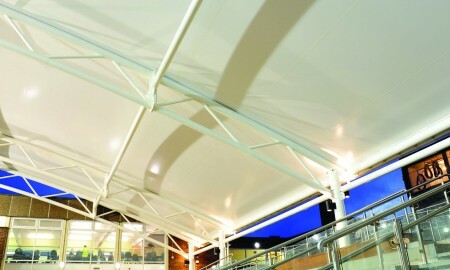 Once positioned, the PVC fabric membrane was installed and tensioned by a specialist team of ‘rope secured installers’.